Professional Automotive Translation Services are going to decide new competitive advantages in the new automotive landscape where services, content and features gain more weight than a car’s hardware. Take a look at one of the predictions about the automotive industry. PwC predicts that by 2030 alone (based on mileage) we would see the share of autonomous driving in overall traffic going up to 40 percent. Also, cars would no longer be just vehicles of transport. They would be electrified, autonomous, shared, connected and updated yearly. Would that mean less or more money for the automotive industry? Well, McKinsey has reckoned that the overall automotive revenue pool will significantly rise. But this will come through a major diversification toward on-demand mobility services and data-driven services. One can conjure up as much $1.5 trillion (or 30 percent more) of revenue potential in 2030. Thanks to the new expectations from a car, players in this market can move far ahead from the $5.2 trillion they eked out from traditional car sales and aftermarket products/services. In other words, the very meaning and business model of a vehicle are going to witness disruption to a new level. Cars are getting autonomous. They will be getting increasingly ‘shared’, and that means new demand and possibilities to be created out of the ‘mobility’ paradigm. The biggest change – these cars will be connected in ways, and to depths, that are truly unprecedented. There will be communication between cars, cars to a bigger content ecosystem, cars to vehicle occupants, cars to the outside world, the outside world to the inside world, cars to the office, office to cars, cars to home, home to cars and so on and on. The time that drivers and passengers spend in the car would be a big opportunity for radical services, content avenues, revenue streams, new services and on-demand offerings. These massive shifts will usher in new markets for the industry. Translation, as a result, would no longer be just a footnote exercise in the car’s value life cycle. The need for specialist translations for the automotive industry will increase, and their impact on any player’s success would be game-changing. Imagine that if the ‘year-on-year’ prediction done by PwC actually plays out with this velocity, then what new capabilities would we need in the area of automotive translation services? The way players will look at automobile manuals translation service, and product packaging translation will undergo a big change. Offerings would have to be updated annually to integrate the latest hardware and software developments and be responsive to changing requirements of shared fleet buyers. That is only possible when translation becomes a new cog in the wheel of the automotive market. More so, as the differentiation and agility brought by professional automotive translation services will assume a new impetus in a world where connectivity and in-car features can either engage customers deeply or turn them off. Services and connectivity-based features will be a core facet of any car maker’s revenue model thanks to the new layer of engagement that a customer would now expect while sitting inside a car. Passenger-based offerings instead of driver-based design are going to define this future where service manuals translation and product packaging will have to be approached strategically. It will be a crucial lever that can elevate the overall value of the vehicle and its services to a new, and competitively-strong level. Similar implications will follow for automotive translation services with other big disruptions that are afoot according to PwC and McKinsey. The growing stronghold of self-driving and service-model age will change the communication and content aspects of a car beyond recognition. 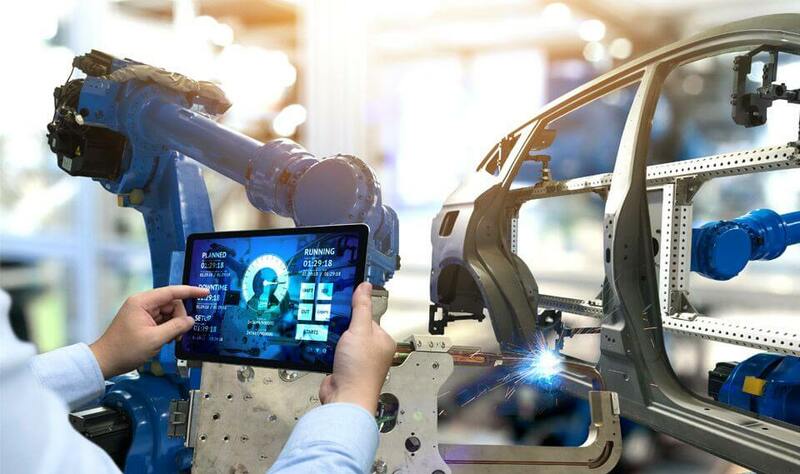 Automotive translation services will be ready to capture real differentiation and strength in a market because customers will buy a car based on its ability to inform, entertain, connect and augment a customer. It is vital now that smart automobiles can use professional automotive translation services to make their manuals, training content, product packaging, marketing and promotional translation, catalogue translation and website translation forge a new magnetic bond with the new-age passenger. Having the right specialist who understands the possibilities of content in this new era would mean a real strategic strength. Look for someone who can translate with an eye on creating value that a customer would willingly pay for. Do not waste time and precious potential of this captive customer by picking services that ‘just’ translate the language. You need an automotive translation services provider who can translate these new trends into significant revenues and happier customers.